Originally opening our doors in 1997, we have experience with a wide range of different car repair issues. 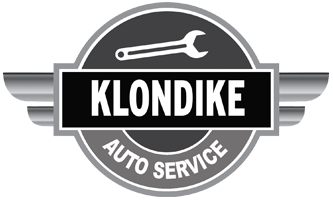 Our team at Klondike Auto Service is highly skilled and truly dedicated to making your car run like new again. When it comes to auto repair in Hallandale, FL, there is no other auto shop in the area that you can trust like our ASE certified team of technicians. By using high quality replacement parts and the most advanced equipment in the industry, we are able to diagnose your car right the first time and have it repaired much quicker than the competition. Not stopping there, we provide some of the fairest prices in the area. As a family owned and operated service center, you can be assured that you will feel like part of the family every time you come through our doors. Fully understanding the importance of maintaining strong relationships with our customers, we guarantee to provide you with a high level of customer service regardless of the specific problem that your vehicle is experiencing. With an A+ Better Business Bureau rating, 5 star customer reviews and the winner of the best local business award, there’s no question that your car will always be in good hands with our team of experts. Experienced in both domestic and foreign auto repair in Hallandale Beach, FL, we are able to fix any car make or model that is brought to us. Because the health of your car is extremely important, don’t trust just any auto repair shop. Instead, bring your vehicle to a highly reputable and recognized auto repair in Hallandale Beach, FL, to ensure that it is fixed the right way. Regardless of your specific repair needs, whether you need a flat tire replaced, oil change or air conditioning service, we are always here to help.